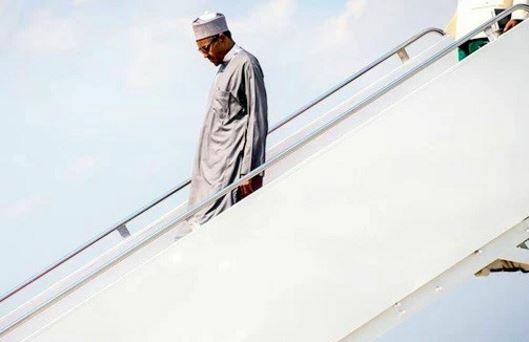 President Muhammadu Buhari has arrived in New York to join other world leaders for the one-week 72nd Session of the UN General Assembly (UNGA) high-level events starting on Tuesday, the News Agency of Nigeria reports. 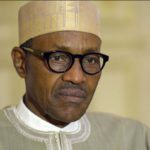 The President was accompanied by Governors Abdul’aziz Yari, David Umahi and Rotimi Akeredolu of Zamfara, Ebonyi and Ondo states respectively. He was received at the JF Kennedy Airport by the Minister of Foreign Affairs, Geoffrey Onyeama, and the Permanent Representative of Nigeria to the UN, Tijjani Bande. 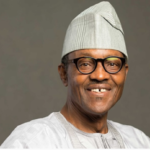 The president was thereafter, welcomed at about 8:30 p.m. at his lodge by the Ministers of Solid Minerals, Kayode Fayemi; Education, Adamu Adamu; and Industry, Trade and Investment counterpart, Okechukwu Enelamah. 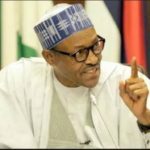 The others were the Minister of State for Environment, Ibrahim Jibril; his Budget and National Planning counterpart, Zainab Ahmed; presidential aides as well as members of staff of the Nigerian Missions in the U.S.
NAN reports that Mr. Buhari will deliver Nigeria’s National Statement on Tuesday, the first day of the general debate. He has been listed as the eighth speaker of the 193 Head of States expected to address the General Debate of the General Assembly. The theme for this year’s debate is ‘Focusing on People: Striving for Peace and a Decent Life for All on a Sustainable Planet’. The president will also join other world leaders at the welcoming reception to be hosted by UN Secretary-General, Antonio Guterres, and hold a bilateral meeting with the UN chief. Aside other high-level engagement, he will have a lunch meeting with U.S. President Donald Trump, along with other world leaders. Nigeria will also participate in high-level meetings on ‘Prevention of Sexual Exploitation and Abuse: Building Momentum for Change’, the Commonwealth Heads of Government Meeting, a High Level Event organised by AU under its theme of the Year:‘Roadmap on the Demographic Dividend:From Commitment to Action’, among others. It is expected that the president and members of his delegation will project Nigeria as a strong moral force and responsible member of the international community. Nigeria’s commitment to global peace, security and development will also be reaffirmed, with the need for increased international cooperation in the fight corruption. Other priorities for the Nigerian delegation at 72nd UN General Assembly include strengthening human rights institutions, the rule of law, support for internally displaced persons arising from Boko Haram activities and recent flooding and mitigating the effects of climate change.